Devops Tutorial | What Is DevOps? The term “DevOps” is a combination of many concepts and is rapidly spreading among the technical community. Most of the people might get confused whether it is an approach, movement, culture or a mixture of all. Mastering devops is a complex journey and requires a lot of effort. DevOps is a collaboration of Development (Dev) and Operations (Ops), it is a term related to enterprise software development. The aim of devops is to enhance the relationship by promoting good communication and better collaboration between these two entities. It is the practice of development and operation engineers taking part together in the whole service lifecycle, starting from the design through the development process and to finish with production support. Considering the Devops model, both Dev and Ops teams are no longer isolated. There are some situations where both the units are combined into a single team, the engineers should handle the entire application lifecycle, starting from development and then testing to deployment to operations, and develop a wide range of skills not restricted to a single function. In certain DevOps models, Quality Assurance (QA) and Security teams work simultaneously with the devops teams for the entire application lifecycle. When security becomes the primary focus in a devops team then the DevSecOps comes into action. Get ahead in your career by learning DevOps through Mindmajix DevOps Training. The cloud computing cluster enables devops automation with a typical platform for deployment, testing and production. Some enterprise systems having distributed nature in the past weren’t a good fit for the centralized software deployment. Utilizing a cloud platform solves many problems with distributed complexity. Automation in devops is becoming cloud-centric. Cloud computing providers such as public and private support devops systemically on their platform, in addition to continuous integration and development tools. This compact integration lessens the cost associated with on-premise devops automation technology, and enables centralised governance. DevOps culture puts impact on small and multidisciplinary teams, who take collective accountability and work autonomously for how primary users experience their software. There is no place like production for a devops team, their aim is to make live experience of the customer better. These teams include operations and apply agile practices in the team management. DevOps teams primary focus is to improve end to end delivery of customer value as they work in small batches, they try to eradicate waste and obstacles along the way. DevOps teams stick to a mindset of growth. They make beliefs clear and in detail, generate better results, and execute hypotheses as experiments. These teams use telemetry and monitoring to collect evidence in production and study results in live environment. In the process of bringing both the development and operations teams together to complete software development, devops culture and set of processes play a crucial role. It enables enterprises to develop and enhance products at a rapid pace than they can with conventional software development processes. It becomes difficult to expect an application to be ready for the operations when the dev and ops teams are existing in two different silos. When the dev teams stop the application, the operations’ cycle times lasts longer unnecessarily. With a mixed effort of both the dev and ops teams, applications are usable more quickly. This is crucial, as organizations succeed depending on their ability to develop faster than their rivals do. Expert from Red Hat estimate that it become faster to bring an application into market with shorter development cycles rather than following traditional approaches. Due to the arising bugs while programming, the team's experience deployment failures.The smaller development cycles within devops develop more frequent code release. This process becomes easier to identify code defects so the teams can overcome the amount of deployment failures using the principles of agile programming. DevOps enhances the culture of software development, the combined efforts of the teams give rise to increased productivity. This culture aims to work combinely rather than focusing on individual goals. These teams work more effectively and produce better results when the trust between them becomes stronger. This helps to enhance the development process and avoids it from further errors to occur. There are different ways to automate tasks in devops. The process of testing code is automated by Continuous integration servers, decreasing the amount of required manual work. Now the software engineers can concentrate on completing tasks which can’t be automated. Scalable infrastructures, like the cloud-based platforms, multiply the access the teams have to the hardware resources. This leads to speeding up of testing and deployment operations. Faster compiling of code requires build acceleration tools. To avoid delays, parallel workflows are embedded into continuous delivery chain. Using a single environment avoids the tasks which are not required for transferring data between environments. This means you are not restricted to develop, test and deploy on various environments. All of the devops benefits translate to decrease overall expenses and requirements of IT headcount. Continuous applications delivery: DevOps comprises the custom of continuous delivery, where your code base has been made accessible for testing or production on a daily basis as a fundamental part of its own principles. Companies like Amazon used Continuous delivery to roll out a brand new feature in production at a unbelievable average time of 11.6 seconds between deployments. As we will discuss below, Continuous delivery is a critical factor in supplying the other advantages of DevOps. Less intricate issues to fix: Since DevOps is about regular incremental improvements, developers changes have a tendency to be smaller for a given installation. This usually implies that the issues introduced during a deployment are similarly smaller and for that reason easier to troubleshoot or roll back. Faster resolution of issues: By supporting collaboration between the various portions of one's business, DevOps utilizes the mental abilities of the whole organization to solve issues more quickly. You do not need to wait around for another team to fix the issue, instead, you can jump in and begin solving it yourself. Faster delivery of attributes: Continuous delivery implies which features are deployed in production right after they have been developed. Another factor in the enhanced speed of DevOps is the utilization of automated processes for tasks like testing, cloud infrastructure, logging and monitoring. More stable working environments: Since continuous delivery decreases the severity of possible problems, it also has a tendency to result in greater stability. The observations by the Puppet study revealed that, high performing devops organizations became stable 96 times faster from downtime. Operates the current testing and merging of code, which leads to identify bugs early stages. Other advantages include saving time with fighting merge issues and quick response to the development teams. Frequent delivery of software solutions to the environments of production and testing support organizations to fix bugs quickly and respond to constantly changing business requirements. Version control (using GIT), enables teams around the world to interact effectively between regular development activities besides integrating with software development tools for tracking activities like deployments. Lean project management and agile planning techniques are used to organise and separate work into sprints, handling team capacity and support teams to swiftly adapt to the changing business needs. Professionals with DevOps skills are at a huge demand as most of the businesses rely on devops for best results. 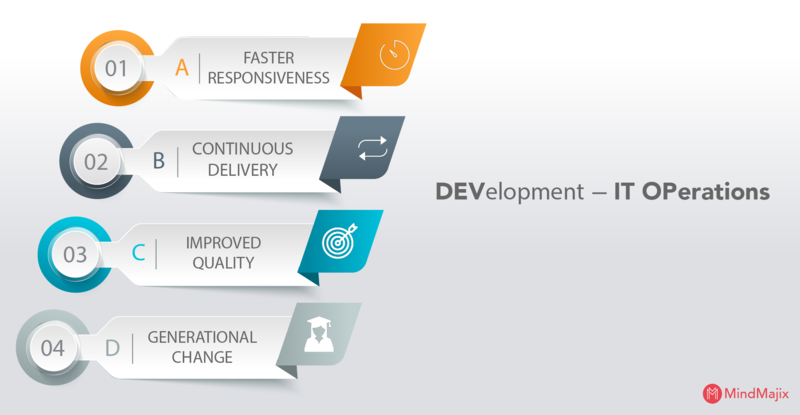 The main priorities of DevOps include, Improving the relationship between development and operations, maintaining better communication, and having collaboration between the two teams. It may look easy as said, but there are many aspects for a devops engineer to successfully deploy the code and bind the two units. The average Devops Engineer salary as displayed on PayScale.com is $91,274. Organizations who rely on devops required people who naturally resist organizational silos. A unique way to find these people with rare skills (such as: generalists, polymath or comb-shaped people) was by considering their wide range of interests and non-linear career path. The approach used for recruiting people for devops was different from traditional method of recruiting. Devops hiring is described as the more effective model for searching, recruiting and retaining non-commodity expertise in heavy competitive markets. 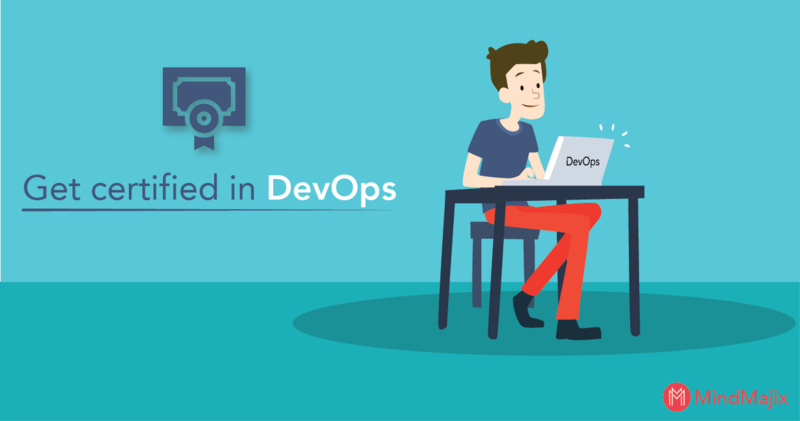 This process of recruiting is based on core principles of devops and can be used for hiring positions with a lot of demand in any part of the organization. Explore DevOps Sample Resumes! Download & Edit. Get noticed!Download Now! Coding is a constant process which needs to be updated regularly. To become an ideal devops engineer, the candidate must showcase the abilities like developing and integrating new systems into the code. He should be flexible to work and adapt to the changing code. Comparing to other skilled areas security is a crucial factor, particularly in coding. This is an area where the hackers show their expertise to get into systems for manipulating the secured data. In devops development and deployment of code is at a rapid pace, which means there is a risk of code being exposed to cyberattacks. Hence, the engineers must adopt the skills of writing secure code to protect it from unwanted attacks. You don't hire a candidate who is lacking in decision making skills. the successful devops engineer should have the capability to take wise decisions instantaneously in an unbalanced condition. As the code is constantly changing, there should be a person available to fix the incoherent code elements. When employing a devops engineer, decisiveness is an important factor to consider. Inorder to make great devops teams, senior workers like managers should play a crucial role in assisting coworkers in solving problems which arise while working in a team of devops. A better devops engineer works in small batches to make others work easy, like starting from performing code reviews to writing acceptance tests. Nowadays it is crucial to have short feedback loops with end-users and real customers, and that all tasks in developing it products and services surrounds around these clients. In order to meet these customers’ needs, Devops organizations should face the challenges to act as lean startups that innovate continuously, pivot when a particular strategy is not working, and spend money in services and products that will gain a great level of customer satisfaction. Organizations should equip new methods while leaving the traditional waterfall and process-oriented models behind, where each individual or unit works for a certain role without supervising the entire process. They need to function as product companies that clearly focus on building working products sold to real customers, and all the employees need to adopt the mindset of engineering that is required to imagine and realize those products. The process where the organizations create IT solutions and then pass them over to operations to deploy and manage these solutions, the teams in a devops environment are organised into different stages such that they are totally accountable from start to end. All the IT products and services built and supplied by these teams are maintained by the stable groups. These teams give performance support, till they become unstable, which boost the level of responsibility felt and the quality of engineered products. Product organizations having responsible and vertical teams need to be totally independent throughout the entire lifecycle. This requires a very balanced set of skills and requires fully efficient professionals instead of traditional IT specialists who are only proficient in testing, coding and requirement analysis. Employing these teams becomes a hotbed of personal growth and development. Requires time to elevate application into new phase of a lifecycle. Expenses to operate application for a single user or transaction. Requires time and effort to apply policy across tenants. So look beyond including a title as ‘DevOps Engineer’ and various tool names (such as Chef, Puppet, Salt and Puppet) onto your resume. DevOps is all about practices, principles and developing a collaborative environment that enhances software delivery and improves business value. With a large number of resources available on the web, you can stay updated and can adopt a devops way of thinking.